Girl´s underwear 100% made in Spain. They don´t stand still, the world is a huge game room and each second counts. Our collections follow their rhythm, giving them complete freedom as we take care of their skin, even when they sleep. Men´s interior thermal t-shirts are recommended for the cold weather. 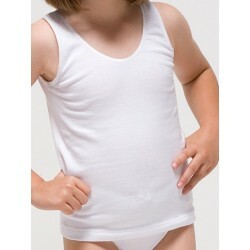 In addition to softness and comfort, they provide extra heat. Children´s pajamas with detailed embroidery.Article reduced 50% only while supplies last.100% Cotton.Rapife 100% made in Spain. 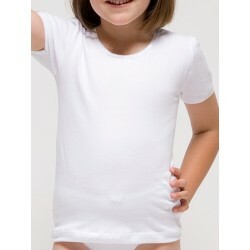 Children´s internal thermal short sleeve t-shirt with round collar.Drop needle interlock (napped).Winter t-shirt.Rapife 100% made in Spain. Children´s internal thermal long sleeve t-shirt with round collar.Drop needle interlock (napped).Winter t-shirt.Rapife 100% made in Spain. Girl´s interior long sleeve t-shirt.Elastic cotton that fits like a second skin.T-shirt suitable for all year.Rapife 100% made in Spain.